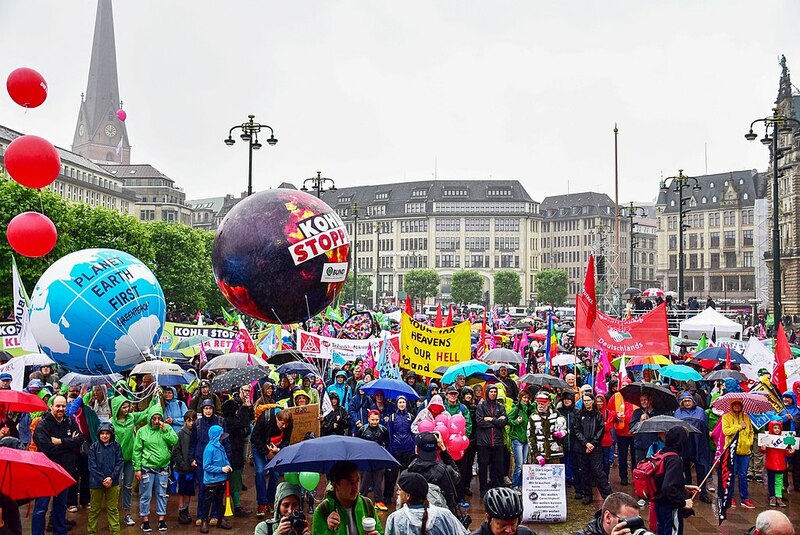 The Hamburg G20 summit has come to an end and sparked a wide range of different reactions among German political actors on both domestic and international issues. On the one hand, the violent riots caused by far-left extremists have unsettled politicians of all major parties who have collectively condemned them and announced forceful legal reactions. Olaf Scholz, Hamburg’s current mayor and a potential contender for the SPD leadership position in the future, even warned perpetrators of “severe consequences that are awaiting them“ while defending the use of force by the city’s police. On the other hand, the summit’s content itself has led to various reactions with the CDU/CSU praising both published communiqués as signs of Merkel’s global leadership skills and the oppositional Greens and Left downplaying most of the results, calling them not courageous and resolute enough to actually bring change. Meanwhile, the federal government has announced plans to make all draft bills and corresponding lobby statements of the last legislative period available to the public. This idea, that would affect up to 600 laws with approximately 17,000 single documents, is widely recognised as the government’s response to the so-called #GläserneGesetze (transparent law) campaign which has gained quite some steam in recent months. Referring to the contested “Informationsfreiheitsgesetz“ (freedom of information act), the campaign has sent more than 1,600 requests to obtain information, thus significantly hampering the administration’s capability to act. However, it is uncertain if a future government will maintain this transparency-centred approach after the upcoming federal elections.